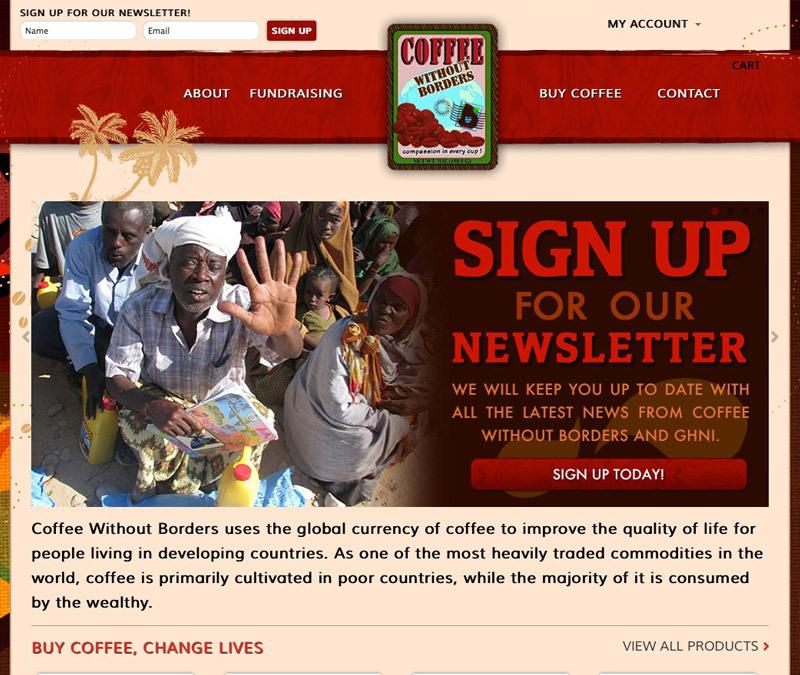 Coffee Without Borders is a for profit company that gives a away all of it’s profits to charity. That’s right, 100% of their profits from selling coffee goes to help Global Hope Network International. They are based in Honolulu, HI which makes them are furthest away client. They needed a new website that makes it easier to sell coffee and coffee memberships. We made it fun and inviting as well as informative about what they do.